First heat up the grill/broiler (depending on what side of the Atlantic you’re from! 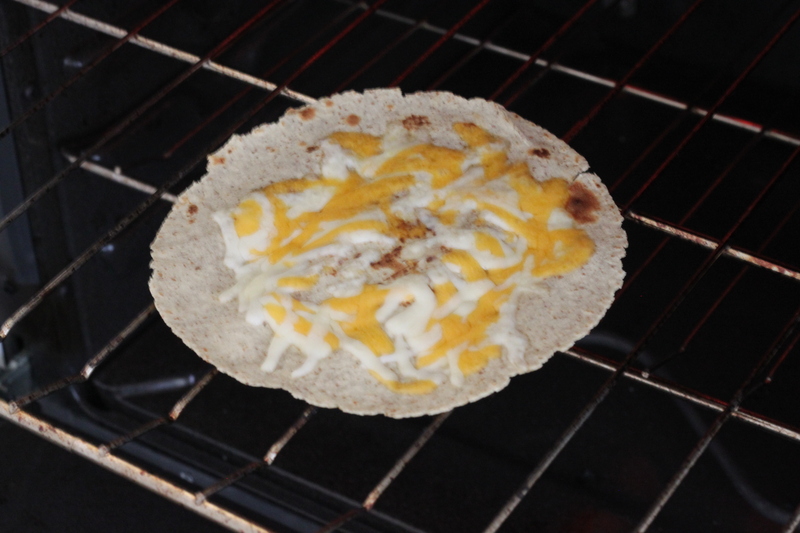 ), sprinkle a little bit of grated cheese on a tortilla – I like these Sonoma ones I get from Trader Joe’s (along with everything else I might add) and grill until the cheese melts. 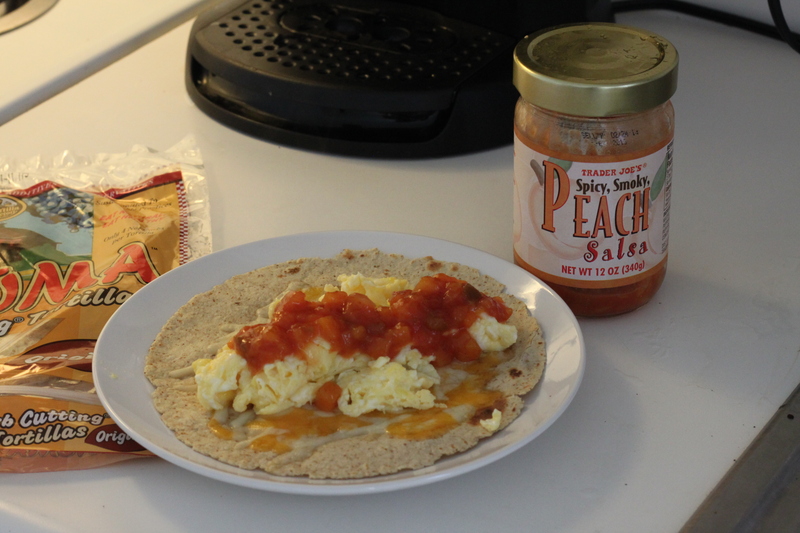 I usually have it with a salad or some baby carrots to get a bit of veggie action going on… Roll up and enjoy!